Spelling. Are you looking for Arbia, Cerbia, Serbia, or terbia? What does ERBIA mean as a name of something? Erbia is a genus of Dinesidae, described by Lermontova in 1940. [inorganic compound] erbium oxide Er2O3; Discovered in 1843, by Carl Gustaf Mosander. See also the blanagrams of Erbia! 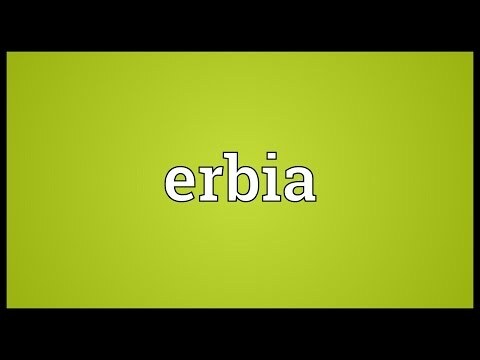 Go to the thesaurus of Erbia to find many related words and phrases!